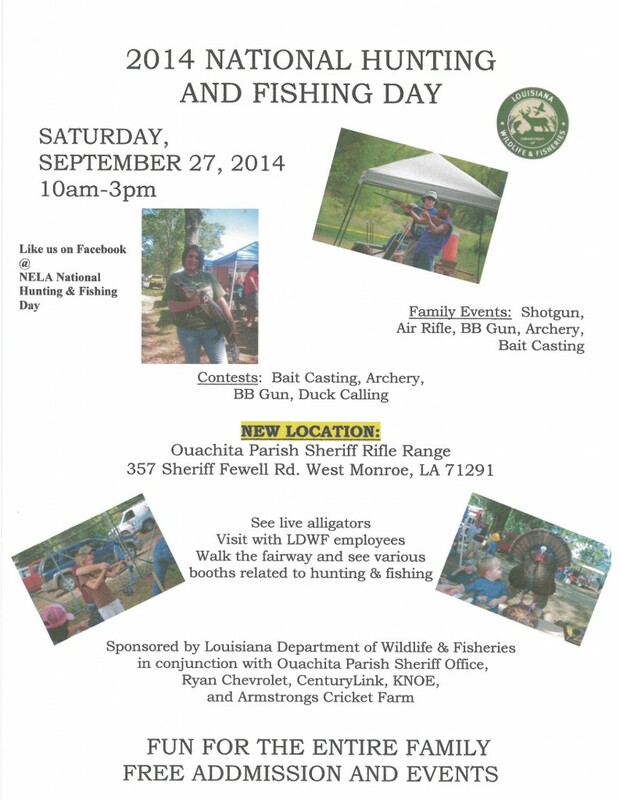 The 2014 National Wildlife and Fishing Day sponsored by the Louisiana Department of Wildlife and Fisheries is set for September 27, 2014. The details are contained in the flyer. Please make note the new location will be the Ouachita Parish Sheriff’s Rifle Range, 357 Richard Fewell Road, West Monroe, LA.